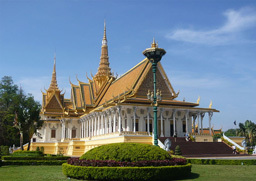 All of Vietnam & Cambodia's most beautiful destinations will be wrapped up in a two-week package. From the wonderful Halong Bay to mysterious Angkor Wat, from vibrant Hanoi to quiet Hue Citadel, from amazing Mai Chau valley to wild Mekong Delta. • Discover colorful Hanoi through street food's tour. • A unforgettable night in Mai Chau's Thai homestay. At 8:00am we will depart from Hanoi to Mai Chau, a picturesque valley, home to many hill tribes including the Dzao, Muong and Thai. We will arrive in Mai Chau around noon and check into the Mister Cuong’s ethnic homestay, a house on stilts in Van village. A village of the ‘White Thai’, who predominantly inhabit this area. 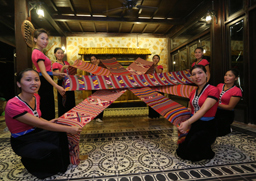 A typical Thai meal will be served for lunch at the homestay. In the afternoon, you can take a short walk around the village where you will encounter friendly local people, and get the chance to communicate with them and get to know their traditional lifestyle. The rest of the day you will have the chance to join in some agricultural chores like planting, harvesting or land preparation, depending on the season. 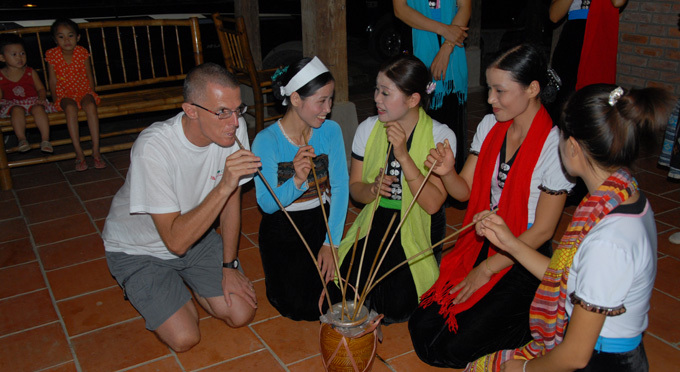 Enjoy a traditional dance show at night then tasting Ruou Can, the local rice wine. Overnight at homestay. 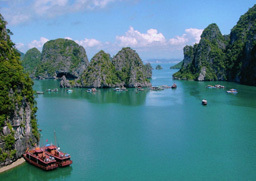 After breakfast, we will drive 170km to Tam Coc also known as «Dry Halong Bay». 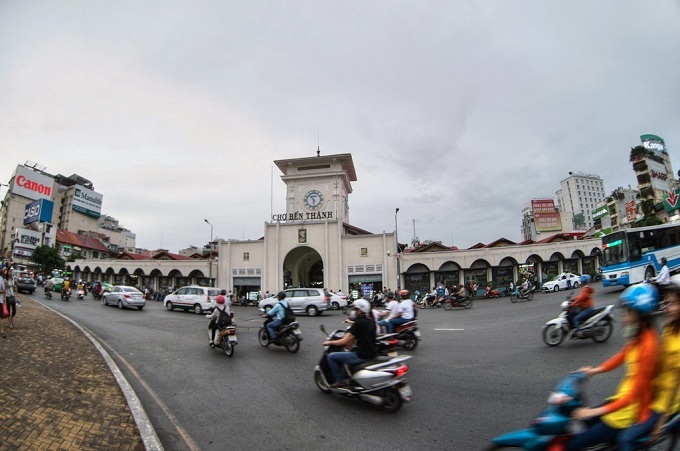 On the way, you will pass some of the most picturesque scenery in Vietnam. Arrive at Tam Coc, check into hotel and have lunch at a local restaurant. In the afternoon, we will embark a small rowing boat to discover the outstanding karst waterscape on Ngo Dong River. Tam Coc literally translates to « three caves» and is adorned with beautiful stalactites and stalagmites of all sizes shaped like gemstones. Continuing the cruise along the river, you will see spectacular scenery of rice paddies and limestone peaks reflected in the emerald water. Row back to the harbor from where you will be brought to the hotel. The rest of day we will cycle along winding roads passing lotus ponds, temples and cottages, typical of Vietnamese countryside to visit Bich Dong Pagoda situated on a hillside. Overnight at hotel in Tam Coc. After breakfast depart to Halong Bay via Thai Binh and Nam Dinh, passing a peaceful countryside typical of Red River Delta with endless rice fields and winding rivers. 10.30 - 11.00 Arrival at the pier. 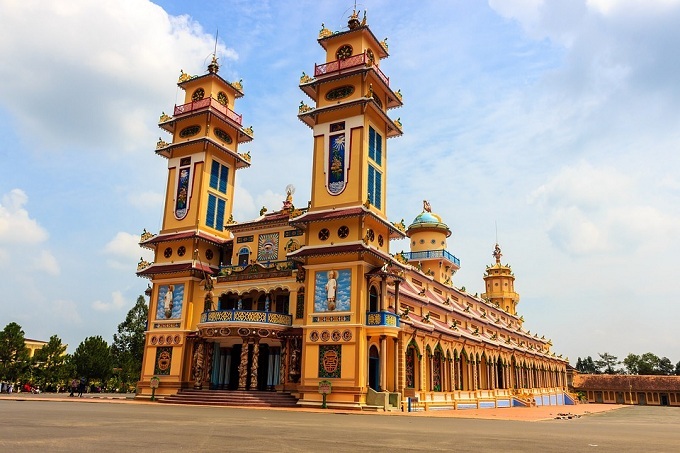 A 3-hour drive will take you to Noi Bai airport for your flight to Hue where you will be picked up to hotel in for check in & overnight. 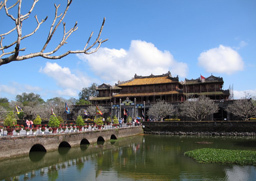 Start the day with a visit to Hue Imperial City, the remaining vestiges of Hue's citadel, including: Flag Tower, Ngo Mon Gate, Nine Dynastic Urns, Nine Holy Cannons, Thai Hoa Palace and the Forbidden Purple City (Tu Cam Thanh), Then, we will take a boat trip on poetic Perfume River. 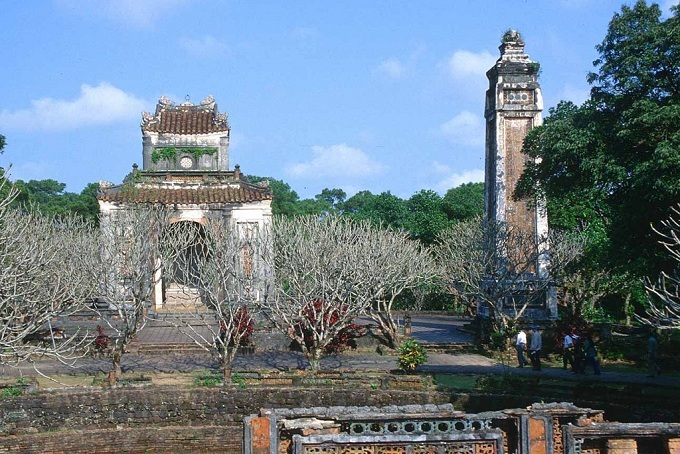 Stop to visit Thien Mu Pagoda (Celestial Lady Pagoda) built in 1601 - the symbol of Hue city. Cruise toward Thuy Bieu eco-village, an old laid back village situated on the bank of Perfume River known for its green tea fruit orchards. Arrive in the village, and join our cooking class to prepare Hue’s signature dishes with our chef’s instruction, then enjoy your creations in the open air riverside restaurant surrounded by lush trees. 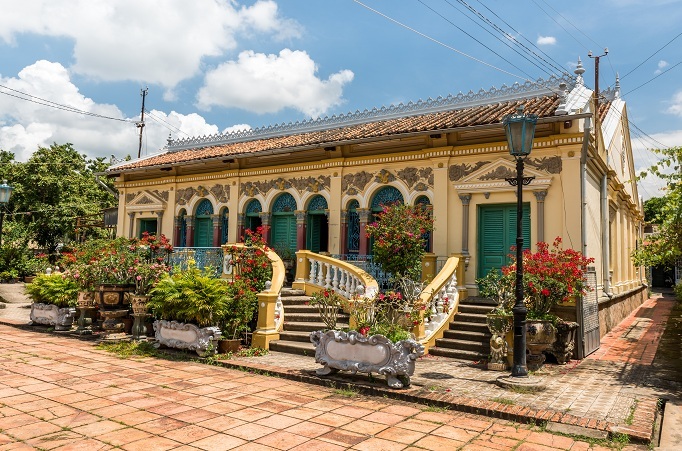 The afternoon is reserved for cycling through the peaceful village, visiting several communal houses, ancient temples and the garden-house, a typical and unique feature of Hue. Soaking your feet in medicinal herb water followed by an excellent blind massage will refresh them after a day of sightseeing. Back to the hotel. Overnight at the hotel in Hue. 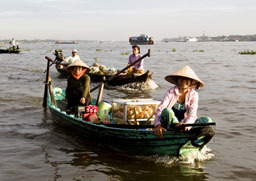 08:00 Guide pick guests up at hotel, take bicycles along De Vong River to Cam An wharf. Embark on the boat to Cua Dai sand dune, enjoy casting net show and learn how to cast net by local fisher man. 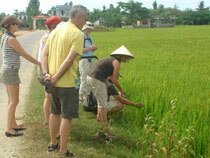 Continue to Cam Thanh Water coconut village, have a brief introduction to the history there. Take on the basket boat along the water coconut river. Fisherman will teach you how to catch the crabs (02 paxs/ boat). Divide group into 2 teams for basket boat racing and catching crabs. There will be a lovely present for winner. 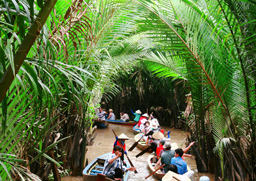 Embark on the boat, enjoy the folk songs show by local people and learn how to make funny tools by water coconut leaf. Then get on board to Cam An wharf, continue to take a bicycle to Tra Que village. 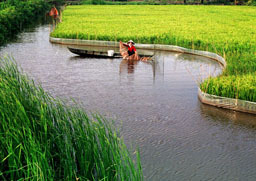 Have lunch and join in the daily activities with local farmer there. Back to your hotel by bicycle. Return to Hoi An town. The rest of the day is free at your leisure. Overnight in Hoi An. 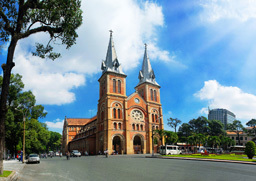 Have breakfast at your hotel before transfer to the airport for flight to Ho Chi Minh City. Upon arrival, check into hotel. 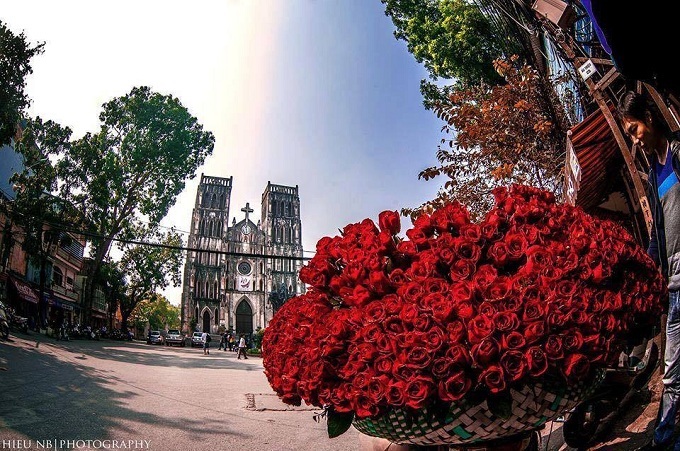 The afternoon is spent to visit the Notre Dame Cathedral and the General Post Office. You will then visit The Reunification Palace, formerly known as Presidential Palace, which was the residence of the president of South Vietnam until the end of April 1975. 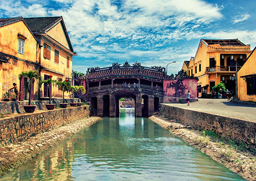 Head to Cho Lon - the city’s Chinatown and Thien Hau Pagoda which is dedicated to the Goddess of the Sea. With intricate friezes, carved tableaus and impressive incense coils make for some great photos. Then observe street life with a cyclo ride through the narrow streets to Binh Tay market that sells everything from hats to dried squid! Overnight at hotel in Ho Chi Minh City. We will rise at 5 a.m to take a boat trip through the winding waterways of Cai Rang floating market, the biggest and busiest floating market in the Mekong Delta. Here the waterways become a labyrinth of hundreds of motor sampans filled with fruit, vegetables, plants and food, all jostling for a space. This is an opportunity to take photos, communicate with the locals and taste delicious fresh fruit. After disembarking we will drive to Chau Doc, the closet town to the Vietnam Cambodian border in An Giang province. Continue the tour to visit Tra Su, getting to the wild birds Sanctuary, cruising smoothly with small boats to discover the arrays of splendid canals deep into the forest, watching storks, cranes and other tropical birds. Back to the Town, hotel check in. Overnight in Chau Doc. After breakfast we will be transfered to the airport for flight to Siem Reap. On arrival, check in hotel for refreshment. In the afternoon, explore Tonle Sap lake - the largest natural lake in Indochina, cruising for 1 or 2 hours to visit its floating villages and discover the waterfront life. Disembark and drive back to Siemreap through the peaceful countryside and quaint villages with lush rice fields and rows of palm. 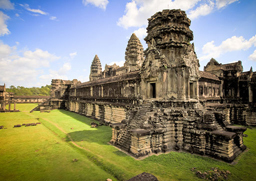 Visit the Artisans d’Angkor established in 1992 with the purpose of trainning young Cambodians in reestablishing the arts of their ancestral heritage and help increasing job opportunities. Drop by some workshops to know about the process of stone and wood carving. Freetime before the transfer to the airport for your flight off. Your room is available until 12h00. •	Drinks, telephone, laundry and all that is not clearly mentioned in the "Price includes"